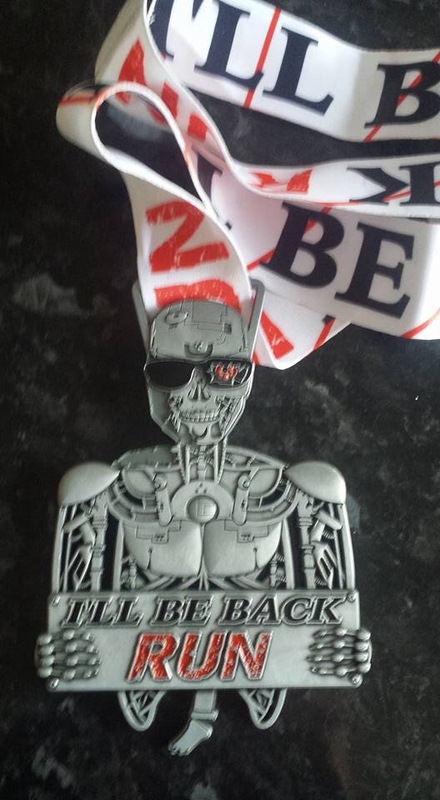 On Friday Richard Boese took part in another Phoenix Running event with the ‘I’ll be back’ Terminator Marathon at Nonsuch Park, Cheam. He completed the 26.2 miles in 5:14:22 and enjoyed a great day at a nice park with a top cafe. Iain McCready completed the Jedburgh Three Peaks Ultra on Saturday, an epic 62.3km run in the Scottish borders with over 12oom climbing! Saturday morning also saw the start of the epic Beachy Head Marathon near Eastbourne. 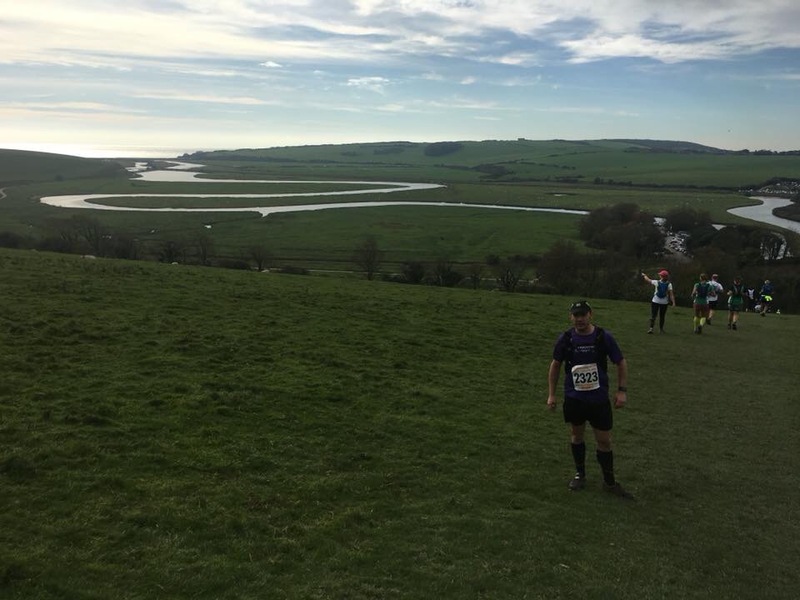 The marathon covers a 26.2 mile course that includes over 300 steps and 14 gates, passing through Jevington, Alfriston, Litlington, Friston Forest, the Cuckmere Valley and Seven Sisters, including Birling Gap and Beachy Head. We had two members in action with Andrea Hadfield finishing in 6:14:18 and Lisa Hale 4:12:48 for 21st position. 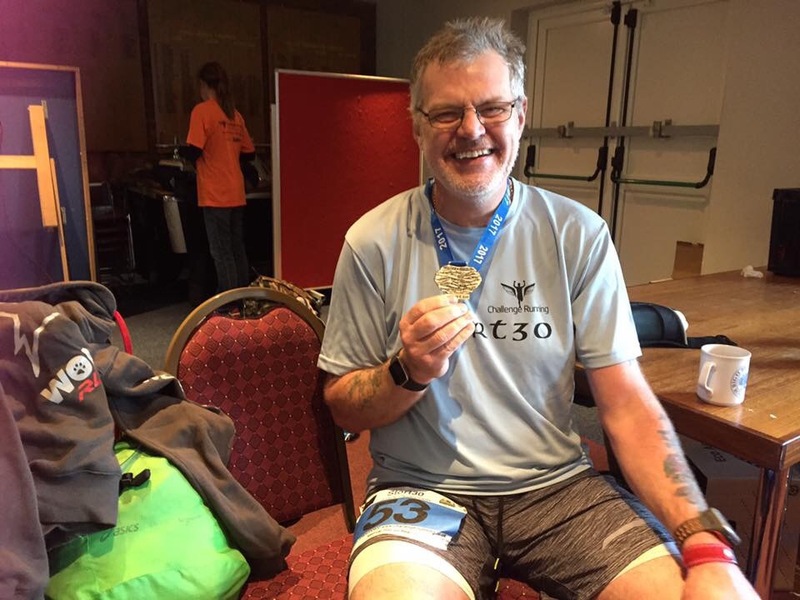 Of course not to forget Parkrun… starting at Bracknell, Harvey Young celebrated his 50th Parkrun at the venue where he has completed the most events. He celebrated with a new PB for the 2017 updated course going sub 30 in 29:51. Wilsey Mockett also logged a new PB in 32:16 as did Jonathan Evershed in 35:08. Well done everyone! At Parkrun Frimley Lodge Royston Crandley was first SJ to finish as he recorded a seasons best with 23:00. Gareth Hopkins bagged himself a new PB going under 30 minutes for the first time and finishing in 29:47. A trio of SJs took to Rushmoor with David Lewis first to finish for the club in 24:06 as he ran his first Parkrun since 2015. More PBs as Jane Bannister improved her best to 25:29 and Louisa Enriquez with 27:02. Again, congratulations to all! Tourism time; on the away but home front… John Tovell ran at Crane Park, Sharon Conquer at Northampton and Yvette Glacken at Luton Wardown. 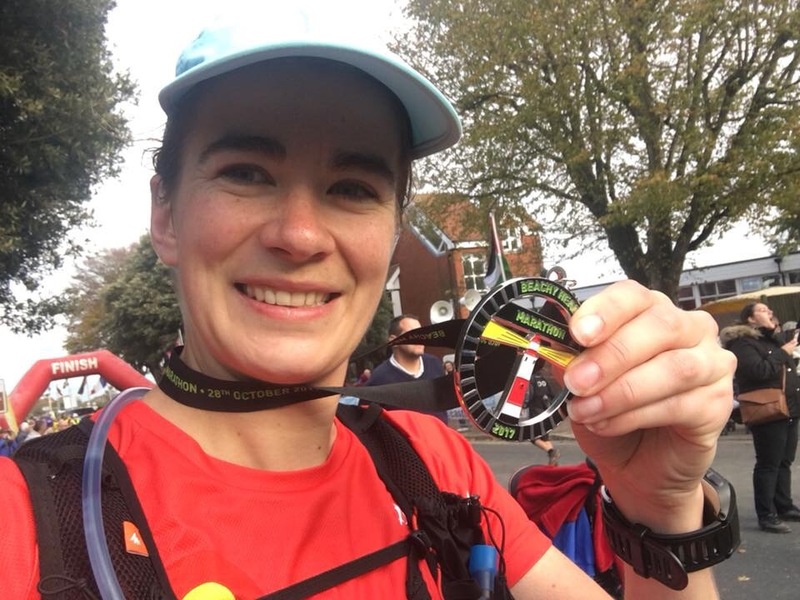 While Alurie Dutton headed to Homewood, Patrick Wandsworth ran at Wilmslow and Simon and Anne Whillis travelled to the brilliantly named Rising Sun Parkrun in the North East. On Saturday afternoon the gates of the RMA were opened up for the Milocarians XC, a event were the military invite local clubs to challenge their own team. Twenty four members tackled the challenging six mile course which included some tough climbs around Barosa at the back of Old Dean. The club finished third in the team event with notable performances from Helen Antram and Fiona Slevin-Brown who finished 2nd and 3rd in the Women’s race, while Graham Robinson took 3rd is a highly competitive Men’s race. Leon Hicks stepped up from the marathon distance completing a 30 miler at the Stort 30 on a scenic course along the Stort River in Essex. Over in Ireland James Ward had a superb run in the Dublin Marathon as he toughed it out on a challenging course to bag a PB in 3:23:13. Closer to home Gavin Loader had an another strong run at the Wimbledon Half Marathon as he finished in 5th place in a time of 1:24:58. 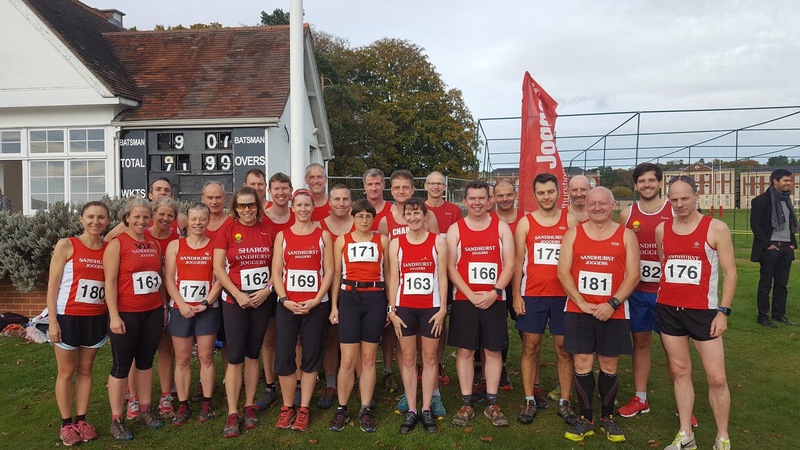 Tuesday: Mike, Monica and the other run leaders will be leading multiple groups to cater for all abilities from beginners through to faster and more experienced runners. It’s perfect for novices and those coming back from injury or a long lay-off because you can start with an easy group and work your way upwards. The run starts at Sandhurst Memorial Park this week starting at 6:30pm. Later the interval sessions will meet at 8pm in the Car Park of the Sandhurst Community Centre (not the Tythings this week) as Mike Guess has a special session planned to make you faster! Thursday: This week the threshold/improvers run will be on the the Ellis Road route. Meet at Sandhurst Sports Centre at 7:30pm and don’t forget lights and high vis clothing. 9.30am – 10.00am – Breakfast served outside with tea and coffee. 11.00 – 12.00 – Talk 2 – Body Reset Clinic. 2.30pm – 4pm: Please choose one talk at each session. Wayne Boardman – Circuit Training Wayne Boardman – Circuit Training Battle PT – Experience the Army PT that Dave O’Toole used to inflict on his Trainee Soldiers!! Battle PT – Experience the Army PT that Dave O’Toole used to inflict on his Trainee Soldiers!! Craig Bowles – Endurance mountain biking and lessons that could be learnt for endurance racing. Craig Bowles – Endurance mountain biking and lessons that could be learnt for endurance racing. or Retire to the bar. 6pm onwards: Venue: Ann and Rob’s House – Everyone to bring a dish and a bottle. Please specify whether you are bringing savoury or sweet. 9am: Run on Sunday morning from Yateley Town Council Offices (the Tythings). 1pm: Talk by Louise Small – Sandhurst Memorial Ground.